[Trenton NJ, March 28] Cancer in children living near the Oyster Creek nuclear reactor rose after increased levels of radiation entered their bodies, according to a new medical study released, at a time when the reactor’s owners seek an extension of the its license. Study results were obtained by comparing trends in Ocean and Monmouth County cancer incidence under age 10 and radioactive Strontium-90 found in baby teeth of children. Lab measurements in over 300 New Jersey baby teeth were used in the study. “These findings document a link between reactor emissions entering the human body and increased cancer incidence. It also reaffirms the well-established principle that there can be a short period between radiation exposure to the fetus and infant and the appearance of cancer,” says study author Joseph Mangano of the Radiation and Public Health Project, a New York-based research group, which has published 22 articles on radiation health risk. 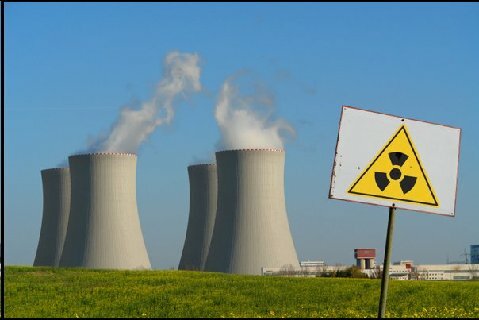 “A study such as this should be taken very seriously, and it should encourage states and the federal government to conduct studies of disease patterns around every nuclear plant in the United States,” says Donald Louria MD of the New Jersey Medical School in Newark. “The findings make it clear that government officials must consider health risks when making nuclear policy decisions and that independent researchers should not be the only ones examining in-body radiation levels near U.S. nuclear plants,” he adds. Oyster Creek, located near Toms River NJ, began operations in 1969, making it the oldest of the 103 operating U.S. nuclear power reactors. Exelon, which owns the reactor, has asked the U.S. Nuclear Regulatory Commission to extend Oyster Creek’s operating license for 20 years after its current license is scheduled to expire in 2009.